Developing .Net web applications in a linux environment has been somewhat of a personal curiosity for quite some time. I have Ubuntu 12.04 installed in a dual boot configuration and every once in a while get an urge to actually boot Ubuntu and tinker with Monodevelop to see how far along the project has come. 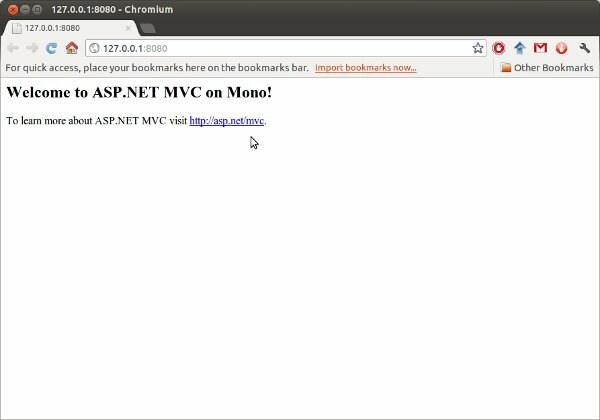 Since most of my time is spent developing ASP.NET MVC3 applications, I decided to see if it was possible to get a simple application running using the Razor view engine. The last time I attempted this (over a year ago), it turned out to be more of a pain getting a web server configured to run ASP.NET applications than it was worth. The experience this time was much better as Monodevelop has xsp4 integrated out of the box for serving the web pages. 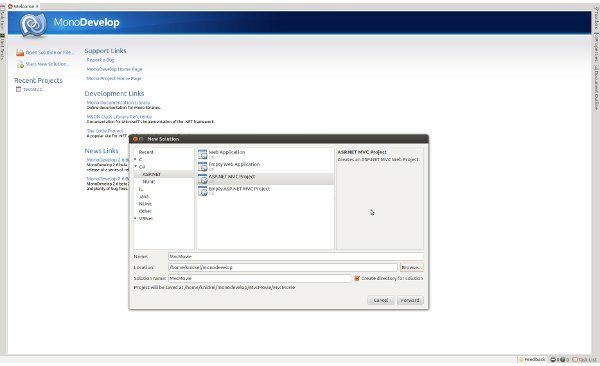 xsp4 is a minimalistic web server which hosts the ASP.NET runtime. 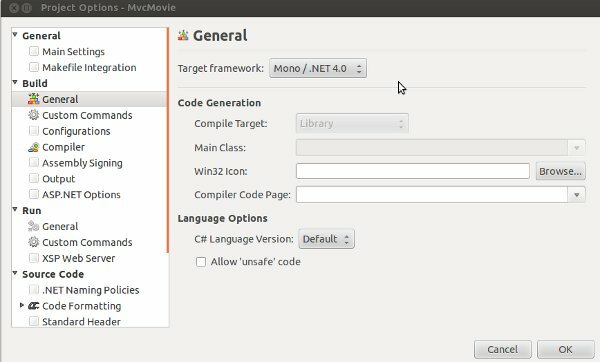 To be honest, I was hoping that by now Monodevelop would have support for the Razor view engine and it would just work ‘out of the box’. This of course was just wishful thinking. However, the actual process to get it working isn’t a deal breaker anymore; especially after you have done it once. This process will take a few minutes depending on your connection speed. Once installed, launch Monodevelop and click Start New Solution. 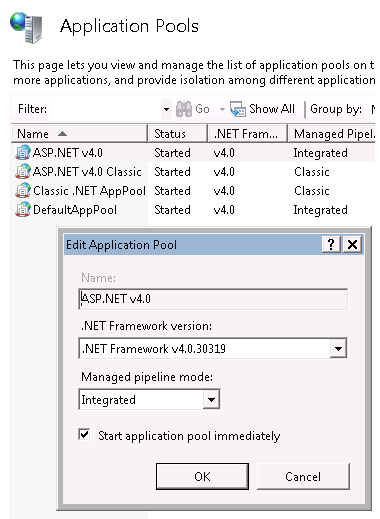 Select ASP.NET MVC Project from the C# section and give your project a name and location. Once the project is created, compile it and optionally run it. 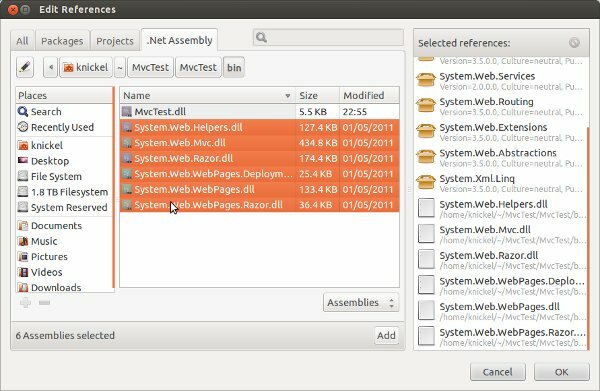 Compiling the project will create a bin folder with the relevant assemblies. If your project will not compile and the message refers to a .NET 3.5 compiler not being found, be sure to change your build to use .NET 4.0. Right click on your project (not the solution) and select options. Under build, click on ‘General’ and select ‘Mono/.NET 4.0’. In the bin folder, there will be a System.Web.Mvc.dll. This is an ‘old’ version and will be replaced. The first thing to do at this point is remove that reference from your project. In the solution explorer of Monodevelop, expand the references and then right-click delete System.Web.Mvc. Once you have copied them to the bin folder, add them as references to your project. To do this, right click ‘references’ in the solution explorer and select ‘edit references’. Click the .Net Assembly tab and double click the bin folder. 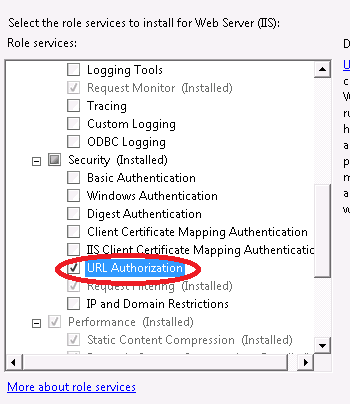 Control-click all of the above dll’s and then click the ‘add’ button. If all went well, you can compile and run your project by hitting F5.